How to get the most of your MBA Program..?? Home > > MAT How to get the most of your MBA Program..?? Once you make your B School, you are all set to start in your life and get an exciting new venue. If this is undoubtedly a major company to complete the MBA, is a coveted degree. During the two years, we have around 35 people we study or competition. The study of these phenomena is the primary purpose is to ensure that your fundamentals are strong. Nobody expects you to master all subjects. Tomorrow, you can take a leadership role, in an effort, you can take to ensure that you have no one, roots and should be replaced. At the end of the first year, students go for summer placements. The summer placement runs for around three months. After finishing their summers, students come back and the second year begins, wherein they specialize in their core area. As a teacher, it pains me a lot, when I see students getting into functions, they are not fit for. Personally, I do make it a point to tell students to identify their strengths by doing an honest introspection and to discuss the same with their family members and close circle of friends. If they have professional contacts, they are the best people, since they are already working in that line. They are not only the best source of information, but they will also guide you properly. Once the student narrows down on his core specialization, he will know the gap to be bridged in terms of his skill sets after he interacts with professionals, working in that industry. Lot of B Schools have super specialization programs, which is apart from the core specialization. Let me also tell you, that there is nothing called as a sunrise industry. Each and every industry has to go through the stages of, Infancy, Growth, Stability and Decline. It is part of the economic cycle. I also reiterate the point that compensation is totally secondary. According to me, at the start of your career what you learn is more important than what you earn. I also see students having unrealistic expectations and living in their own dream world. Your specialization should be in tune with your skills. If you choose the wrong line, apart from being a misfit for the job, you are also putting your entire career at risk. If you get into an industry purely for money, the day is not far off when you will get frustrated and land up in a mess. Once you have identified your skill sets and decided your core specialization, ensure that you keep yourself updated in that line. You need to seriously devote time to understand the industry, the major players, the standing of the industry right now and the future of the industry. The best source of information will be newspapers like Economic Times and Business Standard. Apart from this, try to identify a mentor, when you go for your summer placements. If you prove your worth during the summer placements, there is every chance that the organization will consider you, when they come for the final placements. Integrity is the foundation on which your career is built. Never lie. If you have done a mistake have the courage to accept your mistake, instead of trying to hide it or getting into arguments. Be the first person to take the initiative. Put your heart and soul in your job, when you go for summer placements. Be disciplined and punctual. Never take any leave. Strictly adhere to organizational decorum. As I mentioned earlier, this is the apt time to identify a mentor, who will be your guiding and inspirational force. Never try to put on a mask and show interest. They are seasoned professionals and your reputation will take a beating. Be genuine. Be yourself. Be in touch with your mentor and work on your weakness. This should be done throughout the program. If you have the habit of gossiping, work seriously on it. All relationships are built on trust. Trust is built up only once. It cannot be built again and again. Likewise during the course of your program never criticize any of your batch mates or professors. During the program, you will get lot of opportunities to make presentations. Take each presentation as a challenge and keep on raising your bar. Be mentally alert and focused on the program. 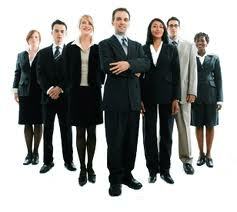 In group presentations you may have to work with other candidates who are not known to you. Extend your full cooperation and take the responsibility of keeping the group bonded together. Each individual will have his idea. Genuinely congratulate your group member if he has come up with excellent points. It is natural to get discouraged if your points are not included in the presentation. Try to find out why the point is not relevant. Always remember that our learning process continues till death. Moreover when you start your career you will inevitably be part of a team. You cannot afford to create disharmony within the group. Be very careful whenever you speak. Choose your words with care. Never indulge in any kind of casual talk. Likewise ensure that you are well dressed and maintain good hygiene. Groom yourself to become a person who can be trusted. Work on your vocabulary. Keep a daily target and strictly adhere to it. Keep on honing your listening skills. There is a huge difference between hearing and listening. Hearing is done with the ears. Listening is done with the mind and the heart. Powerful listeners can create miracles. The basic objective of having summer placements is to get exposed to what an organization is, how it works, the role of each department and how the industry works as a whole. This is because most of the students are fresh from college and directly enroll for an MBA program. The second year is the time when you have to hone your skills in your line or function and ensure that you keep abreast of all the latest developments in that line. Likewise during your final placements make a very careful choice. There are two critical points which you need to keep in mind. The first is the reputation of the organization. The second is the Human Resource Interventions that the organization has in place. All professional organizations have an individual career growth plan for each employee. They also have structured training programs to help the new employee develop his skill sets and also get him exposed to all the functions. Your first job is the most critical one because it is going to determine the entire course of your career. When an organization selects an employee, it does so with a long term perspective in mind. Never make the mistake of job hopping. It is suicidal. As of today, job hopping is looked upon very negatively by all reputed players in the industry. Even an experience of five years in an organization, makes the other company think. You need to have a really valid reason for quitting the organization. My only advice to all MBA students is to make the right choice in terms of their specialization. Once you make the right decision, believe me, it will be an eternal honeymoon for you.